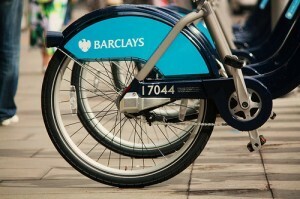 On the eve of the Cycle Hire scheme's first birthday, Transport for London has announced that the network will be extended to parts of the east, west and south of the capital, and that Barclays have stumped up an additional £25 million, extending their sponsorship deal, which previously expired in 2015, until 2018. There's a whiff of commercial wheeler-dealings around the announcement: according to TfL, the extension will put docking stations at Westfield, Shepherds Bush, in time for next spring, despite the bikes' relative lack of shopper-friendliness. Much of Tower Hamlets should also be covered by next summer (here's an unofficial map of the new locations), while the boroughs of Wandsworth, Hammersmith & Fulham, Lambeth and Kensington & Chelsea will also welcome the Boris bikes. Still not much for north or southeast Londoners to look forward to, mind. A total of 4,200 docking points and 2,000 new bikes will be introduced with this expansion, which is set to be completed in 2013. We'll have more on the first year of the Boris bike, and how it has changed cycling in the capital, tomorrow.